» Suns Out, Guns Out - Tank Tops for Summer! » Why Wear a Rugby Scrum Cap? » Fall Savings Sale - Shop NOW! 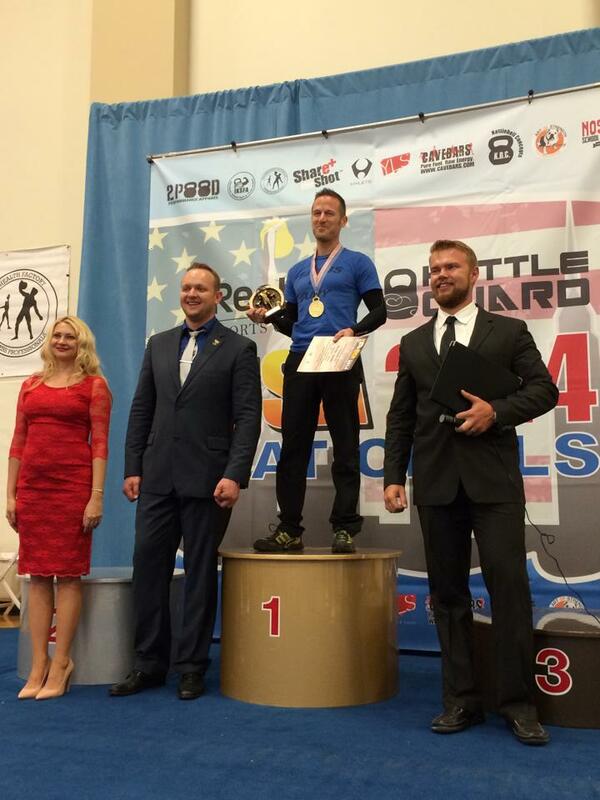 Randal Setzler slaughtered his old record at the Kettlebell National Championships in New York this weekend. He amassed an soul crushing 49 reps of Clean and Jerk. To put that in perspective, last year he competed with 24kg KBs at the KB World Championships and did 39 reps. With an uptick of 13 reps and still weighing 140lbs (of fury!) he has added another immeasurable feat to his list of accomplishments. With this record finish, Randal has officially qualified for the KB World Championships in Germany where he will represent as a member of the USA KB Team. Randal is still accepting donations and you can also purchase his exclusive KB Gas Mask TSHIRT with all proceeds going directly to Randal.